BiosupportMD is a nutraceutical company created by John Chuback, MD, FACS, RPVI, RVT, RPhS, and his business partners Christopher Tichio and Alexander von Summer in 2015. The company was the brainchild of Dr. Chuback, a board certified general and cardiovascular surgeon who has been specializing in the treatment of venous and lymphatic disorders for 15 years. The original Vein Formula contains 667mg of micronized purified flavonoid (MPFF) complex blend. This is made up of 600mg Diosmin and 67mg Hesperidin. The other three products are Lymphatic Formula which includes selenium and Vitamin D in addition to 500mg MPFF, Wound Formula which includes Vitamins A, C, E, zinc and lycopene in addition to 500mg MPFF, and Hemorrhoid Formula, which includes 300mg of Horse Chestnut Seed Extract with 60mg Escin in addition to 500mg MPFF. 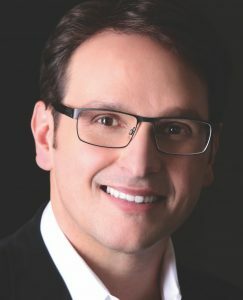 Dr. Chuback emphasizes that these dietary supplement products are meant to be used as adjuncts to conventional therapy such as interventional techniques, compression and wound care when indicated.